I don’t know how many of you know this, but not only do I have small children around me all day, I am also the mother to 3 teenagers. That’s right. Three. And they’re pretty cool kids. Truth be told, they’re awesome. Recently, my oldest boy (16yrs) remarked that HE wanted a bento lunch too! REALLY?? OKAY!!! And so I set out to make a bento that wasn’t too cutesy or too girly. I decided to use the Rubbermaid LunchBlox System for him, because it’s free of zoo animals, butterflies, or other cutesy decorations. It is BPA free and microwave and dishwasher safe. 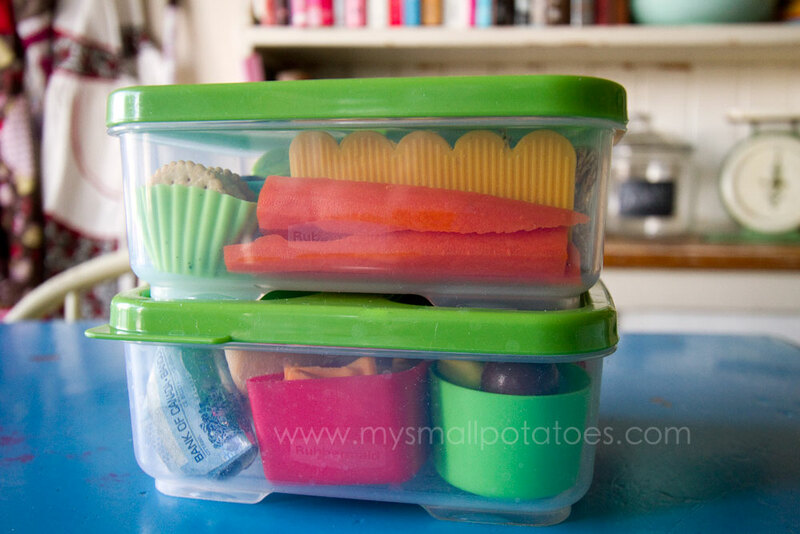 I prefer the smaller blox for school bentos, as the larger containers tend to have all the food items “tossed” by the time they reach my kids’ desks at lunch time. 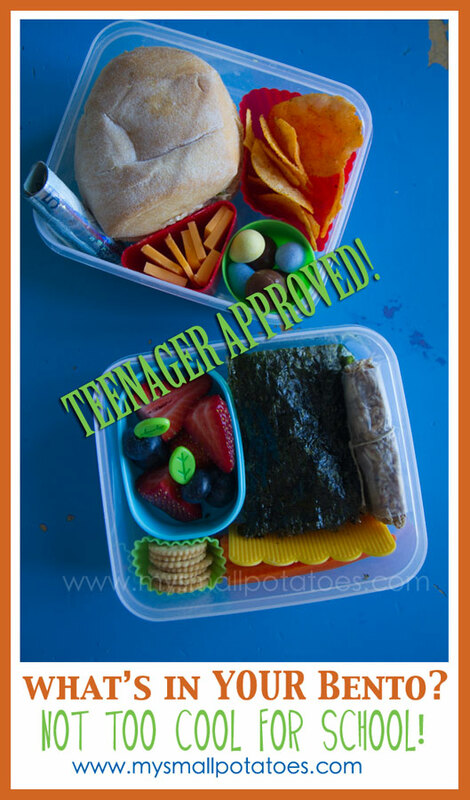 Here is the top layer of my highschooler’s bento… I used the hard plastic food cups from allthingsforsale.com to hold the cheese and the chocolate. I used a generic silicon baking cup to hold the chips, as the sides are more flexible and the chips don’t have to break in order to fit. I added a $5 bill for “milk money” so he could buy himself a drink from the cafeteria or vending machine. The second layer… I used the mini silicon cup for tiny crackers. 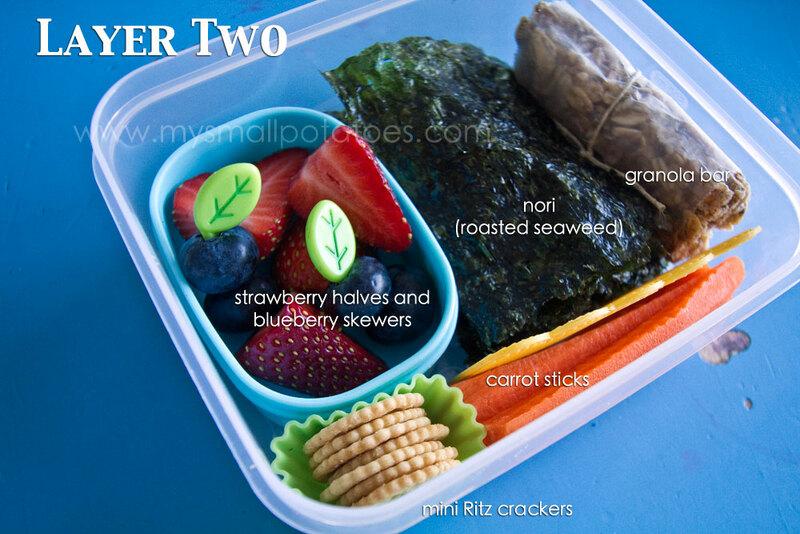 I used re-usable silicon baran sheets to divide the carrot sticks from the nori. And of course, my favourite leaf food picks. All of these items were purchased online from BentoUSA at allthingsforsale.com. He made a photograph of it with his phone and “Instagrammed” it. How awesome is that? 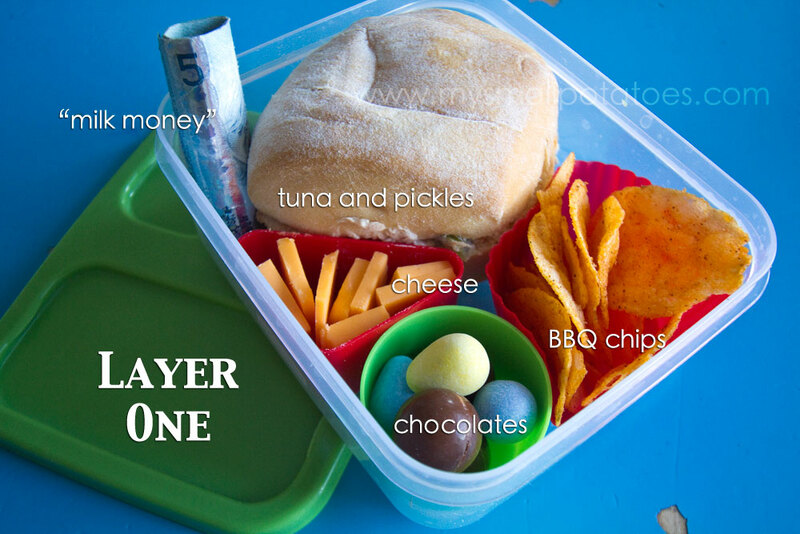 My kid is way cool… Happy “bento-ing” everyone! Thanks for stopping by! 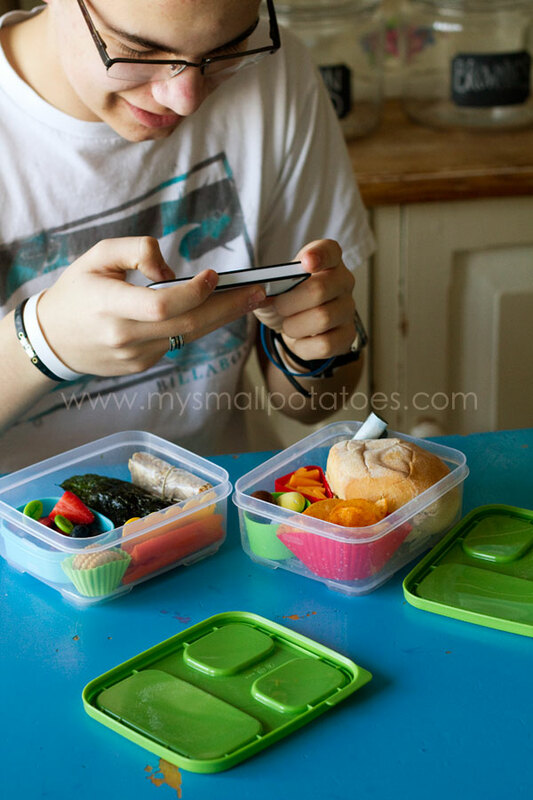 Posted in Bento Boxes, Boys, creativity, DIY, Fussy eaters, Imagination, Inspiration, Japan, Lunch, Meals, Nutrition, picky eaters, Uncategorized, What's In YOUR Bento? I love this! Thank you for the great idea of using the silicone cups so the food isn’t shaken around and mixing before lunch time! You are welcome! And thank you!!! I’ve been begging my mom to “Bento-nize” for a year, so I’m definitely sending this to her! So cool! i do this same thing for my husfriend – and he even works from home! he was always trying to buy frozen meals or cup of noodles (ew!). so i pack him bento snacks at the same time i pack our daughter’s and my own. yay for healthy, fun, sustainable lunches! Very Fun!! Heck I want one too!!! !